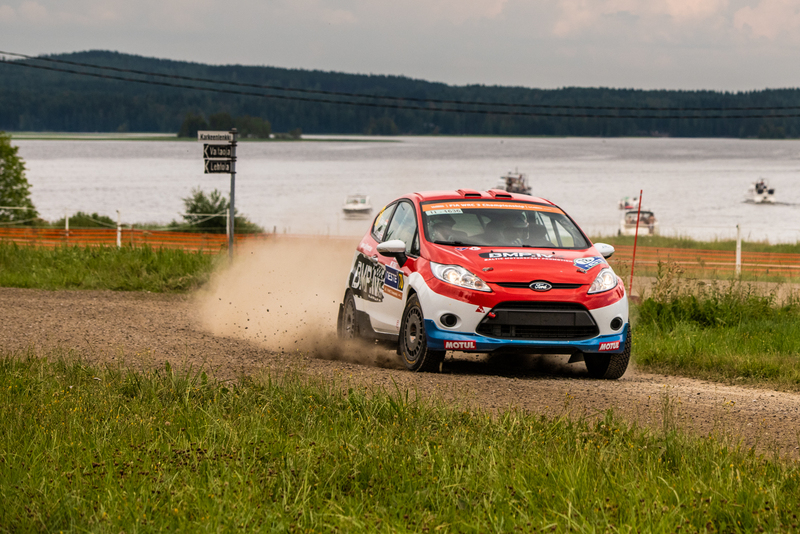 Jyväskylä (Finland), July 29: A determined Sanjay Takale, making his debut in the FIA World Rally Championship, battled his way to 13th position in the WRC 3 category at the end of Leg-2 in the Neste Rally Finland on Saturday. Pune-based Takale, along with British co-driver Darren Garrod, maintained a steady pace in the 2-Wheel Drive Ford Fiesta, prepared by Baltic Motorsports Promotion, through the day that was punctuated by eight Special Stages over 142.86 Kms to gain one spot from overnight 14th to 13th despite being docked time penalty. 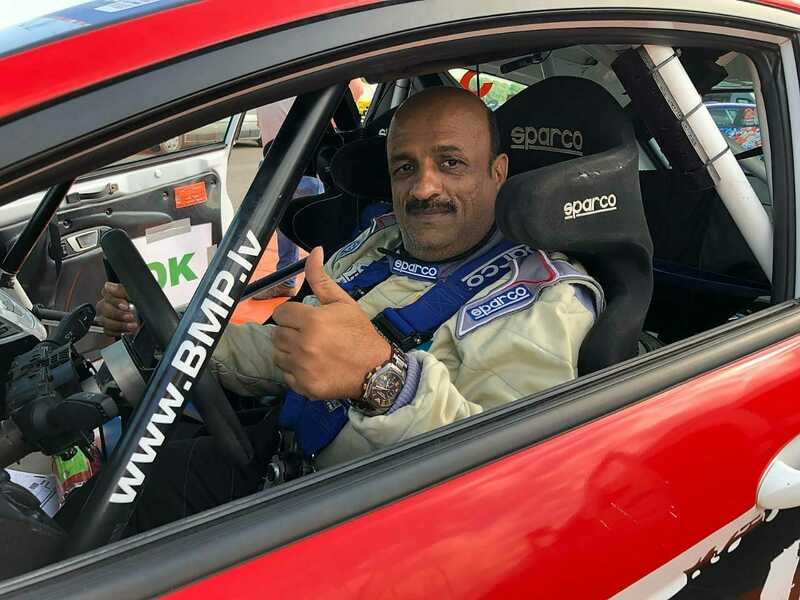 Shrugging off the incident, Takale maintained his pace on the second loop of the Stages highlighted by high speed, blind crests followed immediately by corners. “No wonder that Rally Finland is known to be the fastest Rally in the World! It is very technical and the pace notes have to be spot-on because the terrain is very unforgiving as even the smallest mistake can prove costly,” explained Takale. Sunday will see the competitors covering just 45.72 Kms over two Special Stages – Laukaa (11.74 Kms) and Ruuhimaki (11.12 Kms) – that will be run twice before the finish of the Rally. 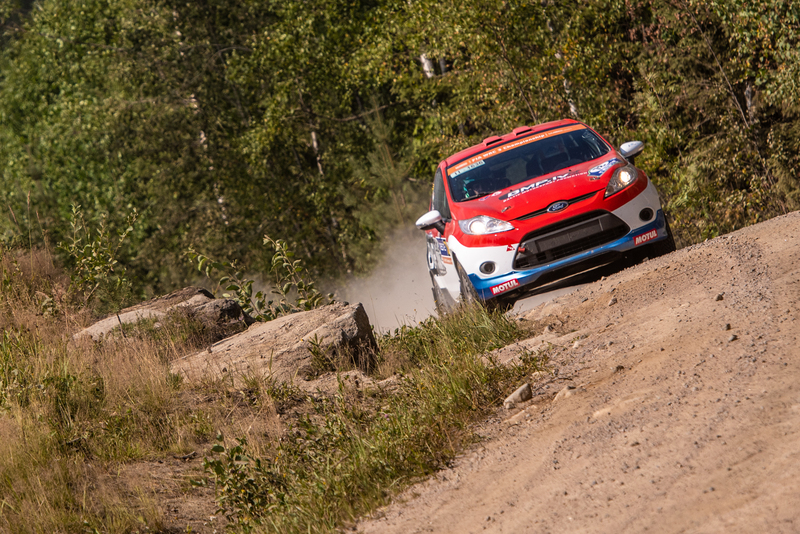 Jyväskylä (Finland), July 26: Making his debut in the World Rally Championship, India’s Sanjay Takale finished in 14th spot in the WRC3 category at the conclusion of Leg-1 on Friday in the Neste Rally Finland after suffering a puncture and damage to the lower arm of the car. Piloting a 2-Wheel Drive Ford Fiesta prepared by Baltic Motorsports Promotion team with Darren Garrod as the co-driver, Pune-based Takale took his time getting used to the conditions that were tailor-made for superfast pace. Focussing on negotiating the rough terrain and bringing the car home in one piece, Takale drove conservatively at the outset, and was further weighed down by the puncture on SS-9 followed by the damage to the lower arm which cost him precious time. Takale was much quicker on the second loop of the Stages as he came in 14th at the end of Leg-1 which comprised 11 Special Stages spread over 128.68 Kms. Leg-2 on Saturday will prove to be an acid test for man and machine with eight more Special Stages to be run, covering a competitive distance of 142.86 Kms. 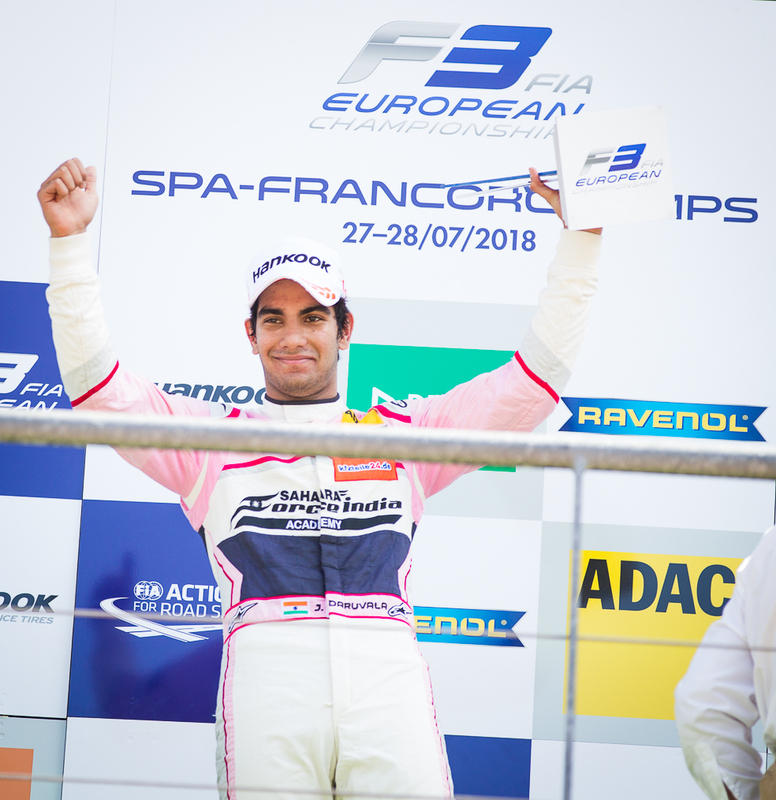 Spa, Belgium: Jehan Daruvala, the first Indian to win in the FIA Formula 3 European Championship once again set a new benchmark, with pole position, fastest lap and race victory in Race 1 at the legendary Formula 1 circuit of Spa – Francorchamps in Belgium. The teenage racing sensation from Mumbai, had a tense qualifying earlier yesterday, and began setting laptimes with only 5 minutes left for the session to end. Jehan was fifth on the timesheets after his first lap and improved to provisional second on the next lap. On his third and last effort, Jehan gave it everything for a brilliant lap to bag pole position by 0.10 seconds ahead of the then championship leader – Marcus Armstrong from New Zealand. Jehan managed to lap the 7km circuit in a time of 2:12.983, while Spaniard, Alex Palou was third, two tenths behind Jehan. Jehan Daruvala, Carlin. FIA Formula 3 European Championship, Spa-Francorchamps, Belgium. 26th July 2018. Jehan unfortunately lost ground, when the lights went off to start the race. His car bogged down and by the first corner Jehan had fallen to third. As the leaders accelerated out of the iconic Eau Rouge corner, Jehan took advantage of the slip stream and muscled his way into second. Soon, an incident behind the leaders, brought out the safety car for 2 laps. The race resumed with Alex Palou retaining his lead ahead of Jehan, who in turn faced no threat. Once again, out of Eau Rouge and onto the long Kemmel Straight, Jehan went around the outside of Palou to grab the race lead. Jehan thereafter had to ensure that he immediately put in a bit of a gap, to avoid being overtaken once again due to the slip stream effect. He managed to do that successfully, opening up six tenth advantage over Palou. The former CIK FIA Asia Pacific Karting Champion, continued his dominance over the rest of the field, pulling out over 2 tenths of a lap over everyone else. The Spaniard too, did not face any challenges as the two leaders were in a class of their own, pulling away throughout. Jehan then pulled off a series of fastest race laps to move out of Palou’s reach completely, before easing off a bit, at the end. 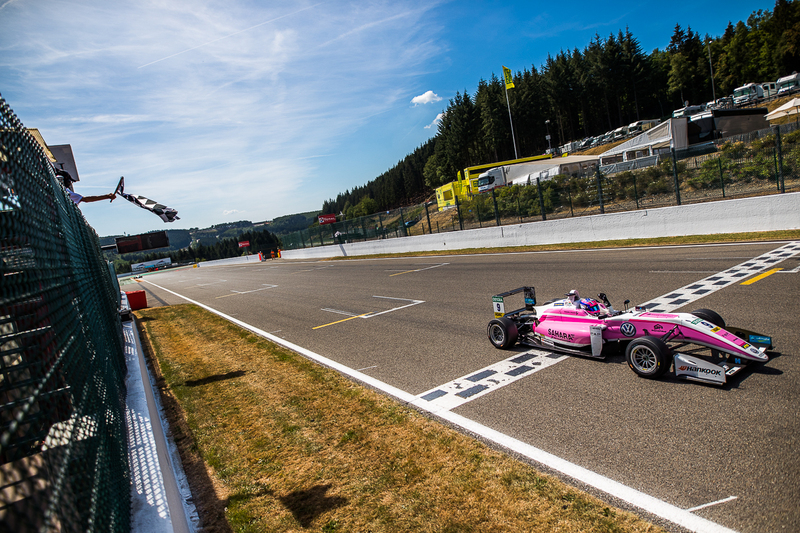 The Sahara Force India Academy racer, eventually won the race with a comfortable margin of 3.2 seconds ahead of Palou and a massive 11.9 seconds ahead of Estonian racer, Ralf Aron in third. 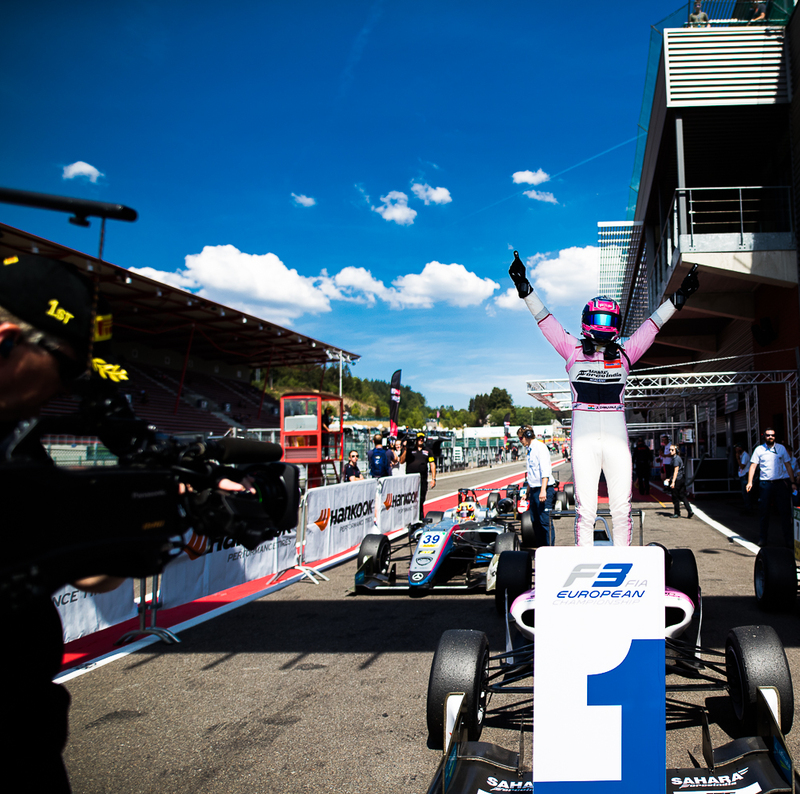 The victory was also Jehan’s fourth podium of 2018 in the FIA F3 series, which is arguably one of the toughest stepping stones to reach Formula 1. “The start was not ideal, but I kept my cool as I knew we were quick. Once I was ahead, I just had to make sure I made no mistakes. A lot of credit goes to the team for all the effort that they have put in.” said Jehan after the win. Jehan has a number of firsts to his credit, such as, the first Indian to win a Grand Prix (New Zealand Grand Prix in the Toyota Racing Series in 2017) as well as the only Indian to stand on the podium of any FIA World Championship (third in the FIA CIK World Karting Championship). Jehan also remains the only Indian to win titles in the FIA CIK Asia Pacific Karting Championship and British Karting Championship. Jehan will start 12th and 4th for Race 2 and 3 respectively, later this weekend. Jyväskylä (Finland), July 25: India’s Sanjay Takale is all set for the drive of his life as he makes debut in the FIA World Rally Championship this weekend in the Neste Rally Finland. 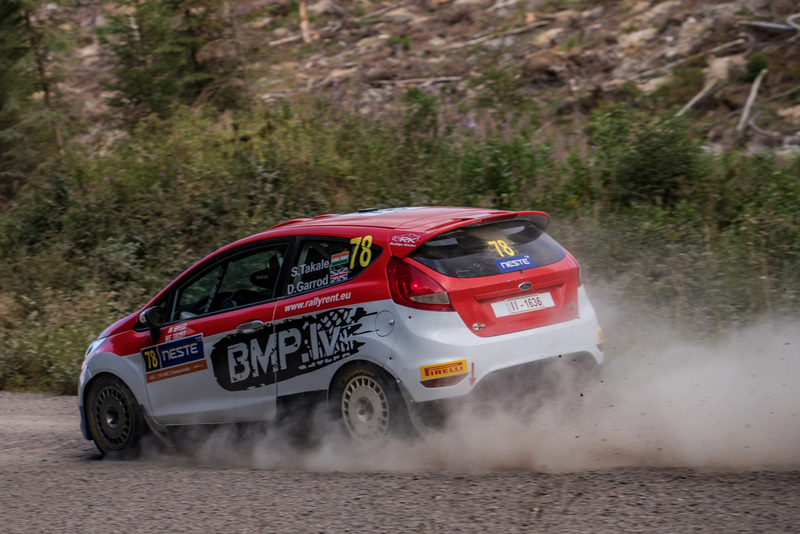 The Pune-based Takale along with co-driver Darren Garrod from Britain will be piloting a WRC 3-spec Ford Fiesta R2 (two-wheel drive) prepared by Baltic Motorsports Promotion team. 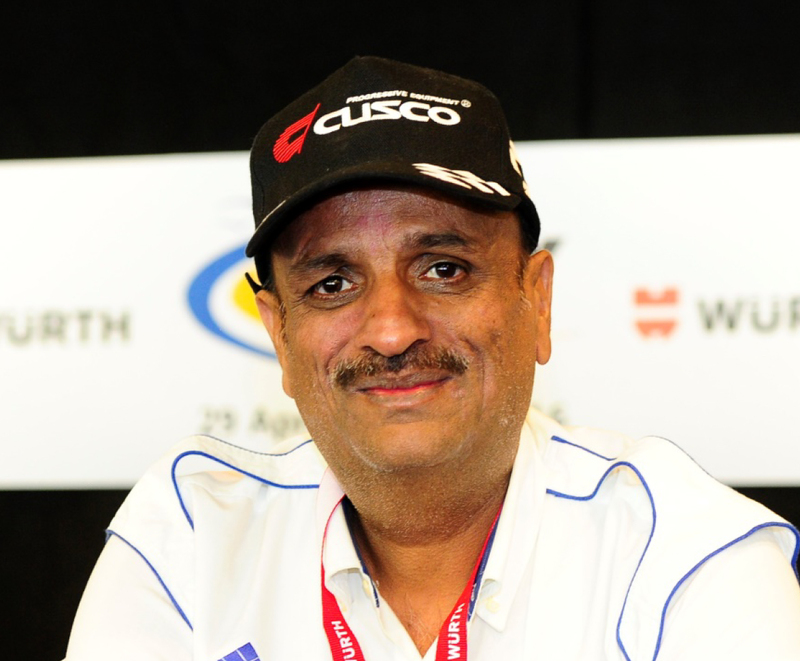 “After many years of participating in and winning international rallies, notably the FIA Asia Pacific Rally Championship, I am now pursing my long-cherished dream of competing in the World Rally Championship as a registered driver in the WRC 3 category,” said Pune-based Takale. Takale’s immediate target in Rally Finland is to complete the course that comprises of 23 Special Stages spread over 317.26 Kms. Over the four days of action, the competitors will cover a total distance of 1,427.49 Kms. 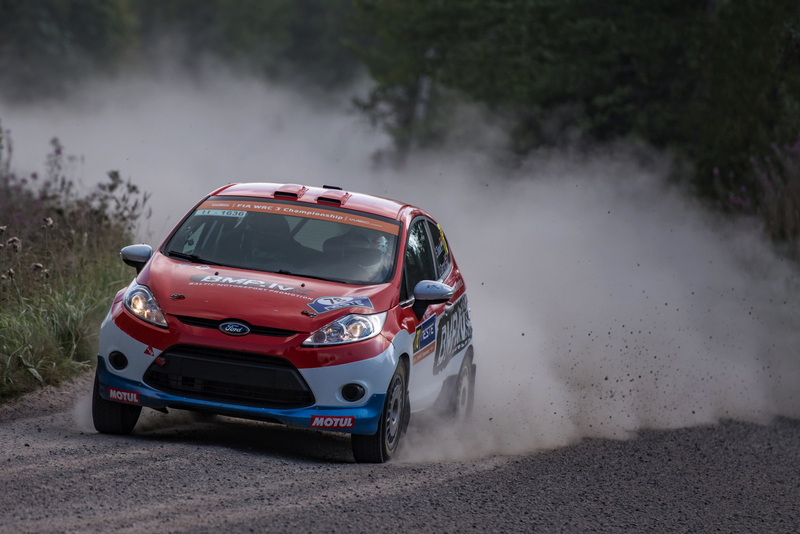 The Neste Rally Finland, which commences on Thursday night is considered the fastest event in the WRC calendar with average speeds upwards of 126Kmph, besides iconic jumps of Ruuhimäki Special Stage on Sunday. Adria (Italy), July 16: India’s Ruhaan Alva came up with a fighting drive to finish on the podium with a fifth place in the sixth round of the Easykart Italia Championship at the Adria International Raceway here on Sunday. 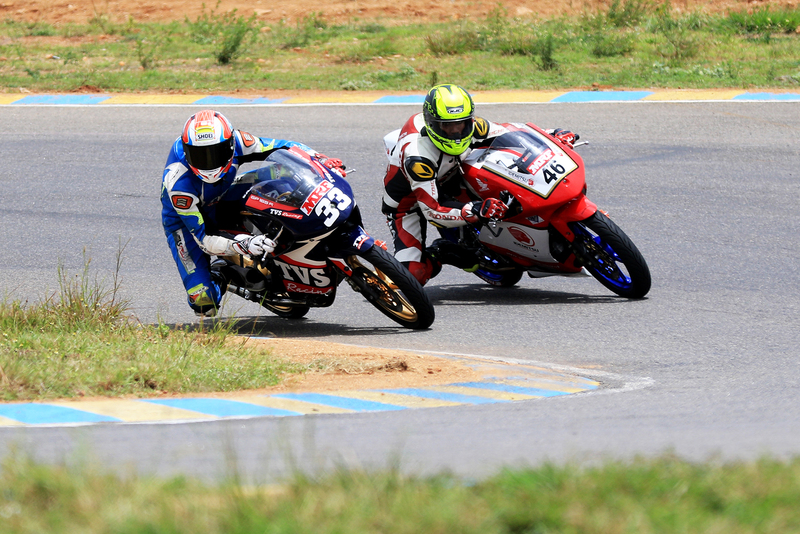 It was Ruhaan’s second consecutive podium finish following his first runner-up place in the previous round. 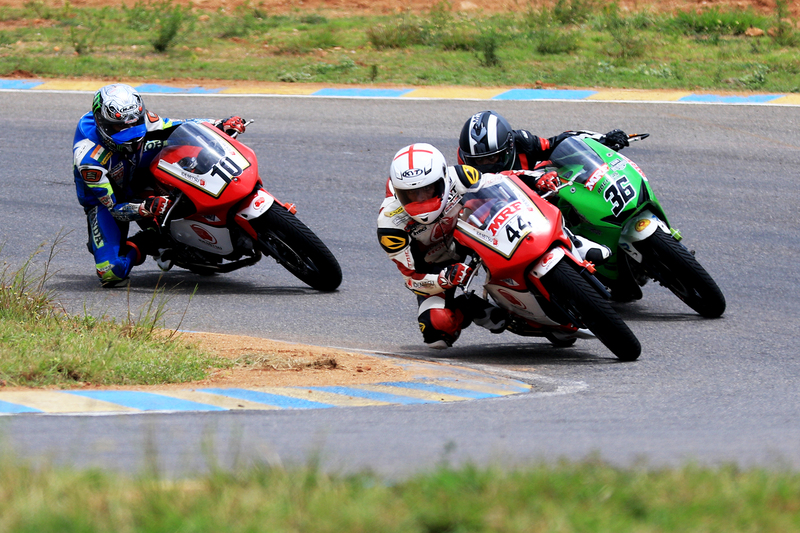 Ruhaan, the 12-year old schoolboy from Bengaluru and supported by Play Factory, Sona Miller and Birel Art India, started the 100cc category final in 17th spot but cut through the field to finish fifth. The top five finishers were presented with trophies on the podium. Earlier, in the pre-final, Ruhaan had shown impressive pace to move from 12th to fourth before getting involved in an incident that pushed him down to 15th which put him 17th on the grid for the final race that followed. “I was quite happy with my pace through the weekend and was hopeful of strong result. Unfortunately, I could not qualify higher than 17th for the final, but had a good run to finish fifth which put me on the podium,” said Ruhaan who is among the six drivers selected by the prestigious International Easykart Driver Talent program organized by Birel ART in Italy. Ruhaan Alva’s next round is in September after the summer break in the championship. F3 Podium for Jehan in Season Opener at Pau.